9 Days Machame Route | . Machame Route on Mount Kilimanjaro is well known as “Whiskey Route” – The nine days eight nights Machame variation is the ideal schedule for this route. On the 9 days Machame Route, the trek from Barranco Camp to Barafu Camp is broken up in to two days, allowing for a short day just prior to Uhuru Peak attempt. This is very important for the climbers because the summit day starts very early, around midnight, so climbers are sleep deprived going into the toughest day on the mountain. By having a short day before hand, trekkers can be better rested. 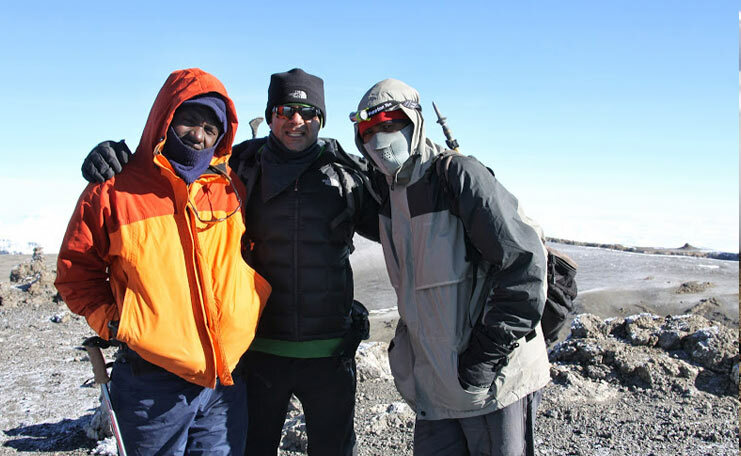 The total time during the mountain climbing will be 6 nights 7 days on Machame Route. From Barranco Hut we climb up through the edge of great Barranco 95 percentage of that day walking will be on elevation of 4250m. We will break our day at Karanga valley campsite at elevation of 4,000m walking time is 4 to 5 hrs on this day. We will start trekking early before sunrise (1-2 am) as the walk today will take 10-14 + hours. We will avoid the mist that sets in later in the day; the scree and snow will still be safely frozen. The 1,100-meter (3,600) ascent in just over 3 km (1.86 miles) will take us about 6-8 hours. After a brief stay at the summit of the highest point in Africa, Uhuru Peak, at over 5,898 meters (19,340′), we descend via the Barafu Route roughly 2,500 meters (8,200) in 12 km (7.44 miles) in about 4–7 hours to Mweka Camp. Today we descend about 1400 meters (4,592) through the forest on a jungle path for about 10 km (6.2 miles) in 3 – 4 hours to reach Mweka Gate where you will be picked by our driver and transferred back to Arusha. Stay overnight at Planet Lodge Arusha on Bed and Breakfast basis. Price cost US$ 1,910 per person. Price cost US$ 1,886 per person based on a group of 5 people. Medical equipment which can be rented well in advance for the following costs: $250/group for hyperbaric chamber, $210/group for an emergency oxygen cylinder and $140/group for a stretcher. Please note these prices include a porter to carry the equipment. Portable toilets: If you are concerned about using public toilets, a portable toilet is available for an extra $110/person or $180/group. This service must be confirmed at the time of booking.